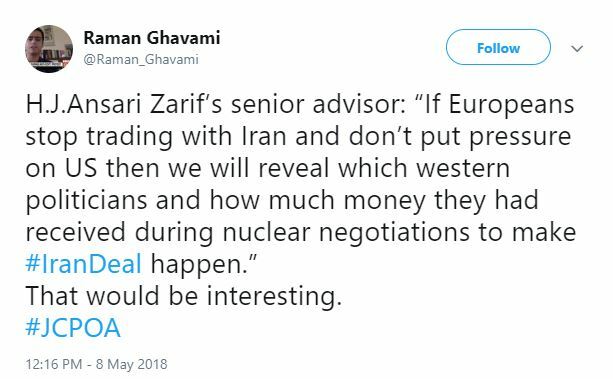 Senior advisors in Iran are threatening to name Western officials to whom bribes were paid to seal the Iran peace deal. Oh Yes. Please do. We all know which side of politics has absolutely nothing to fear from those revelations. Of course, if Iran does release the names of officials and politicians who received, ah … gifts, to ease the so-called Iran peace deal, Iran will be punishing those who made the deal, and helping those who broke it. Either they don’t care, or they are not very bright. Probably both.